Fact: Giraffes are the tallest land mammals in the world. With all that height, comes the advantage of being able to see predators from great distances-- especially out on the open grasslands. But vigilance is just one of a giraffe's defense mechanisms. When attacked, a giraffe will use its large powerful hooves, and kick at its enemy. And a kick from a giraffe is no laughing matter. They have been known to sever lions' heads. A mother giraffe and her calf in South Luangwa. Image Source: John Walker, Images of Africa. This pair can visit your desktop. Fact: Just like humans, giraffes have seven vertebrae in their necks. Unlike humans, however, each vertebrae is about 5 inches (11 centimeters) long. 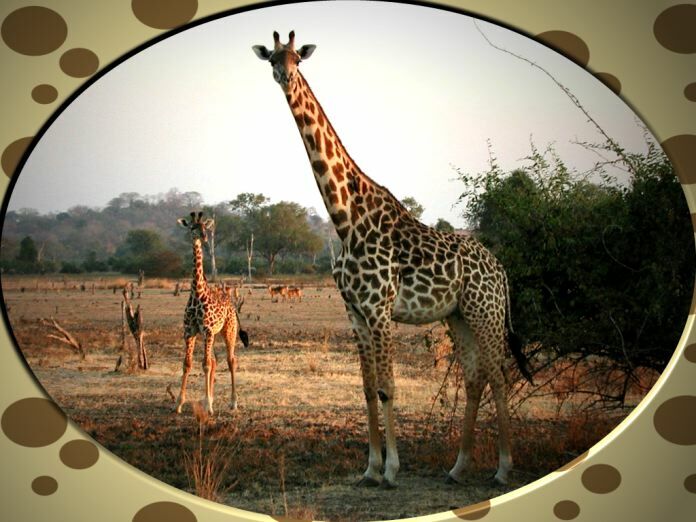 The neck of an adult giraffe is about six feet long (1.8 meters), and is extremely muscular. Image Source: Gary M. Stolz, U.S. Fish and Wildlife Service. Fact: Giraffes can go for days without water, which actually protects them from some of the dangers that more water dependent animals have. This is because predators, such as lions, frequent water holes, knowing that their prey must come to drink. 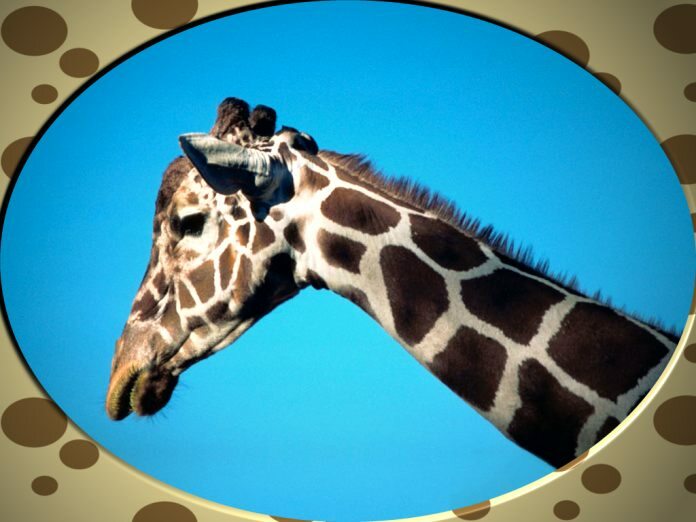 By avoiding those places as much as possible, giraffes improve their chances for survival. Also, to get a drink, a giraffe must awkwardly splay out its front legs to reach the water, making it difficult to not only see its enemy, but also to get a good start running. And a giraffe must look out for those crocodiles... the ones that lunge out from the water and pull your carcass under. Besides the lion, crocodiles are natural enemies of giraffes.